Invisalign takes a modern approach to straightening teeth, using a custom-made series of aligners created for you and only you. These aligners are made of smooth, comfortable and virtually invisible plastic that you simply wear over your teeth. Wearing the aligners will gradually and gently shift your teeth into place, based on the exact movements your dentist plans out for you. Dr. Shutt can put together a plan for you to take advantage of this modern approach to straightening your teeth. To get started on your plan, give us a call, at (502) 895-2210 or e-mail us at blinshut@bellsouth.net.and we will be able to further assist you! 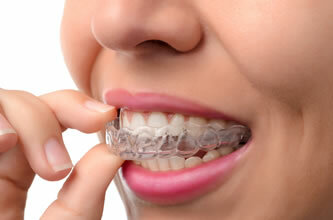 To view a video on how Invisalign can benefit you, click here. How long does straightening teeth with Invisalign take ? Length of treatment with Invisalign varies from patient to patient depending on the severity of the case. Patients are often pleasantly surprised that it may not take as long as they think .... however you cannot get finished until you start!!! 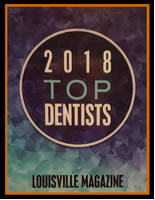 Blincoe and Shutt Aesthetic Dentistry is located in the heart of St. Matthews and is easily accessible from anywhere in the Greater Louisville area. © Copyright 2017. Blincoe & Shutt D.M.D.